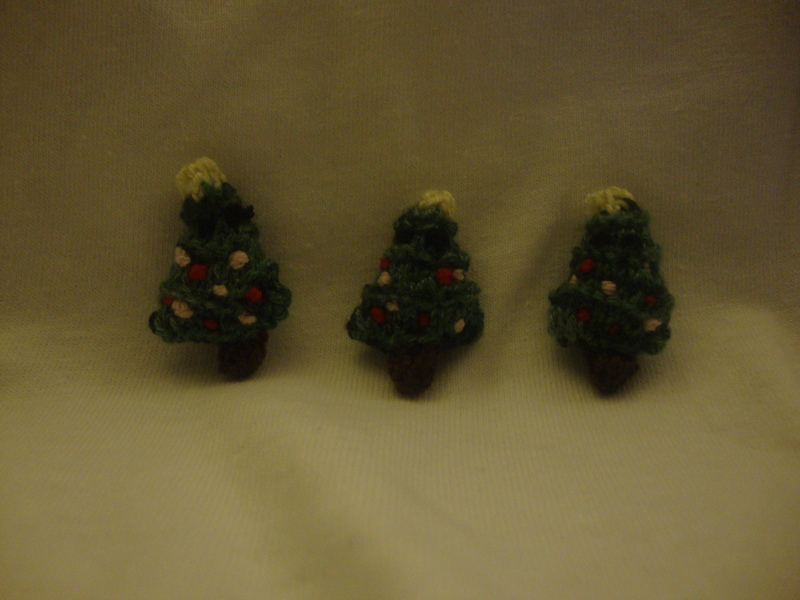 The Tiny Christmas Tree Forrest! This forrest has eyes and tattles on to Santa you when you’re naughty. 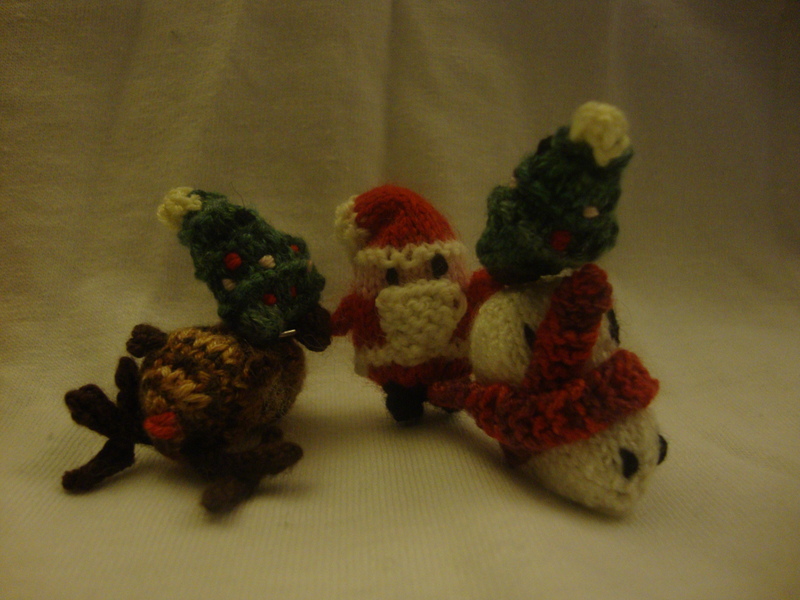 They are knit up in (you guessed it!) Panda Silk. I’m not as happy with these guys as I am with my previous tinies. I would have prefered the green to be a little lighter to let the ornaments and eyes show a bit better and the yellow to be a little darker so the star on top really shines. But, this is what was in the stash and I had to Tim Gunn it. And it worked. 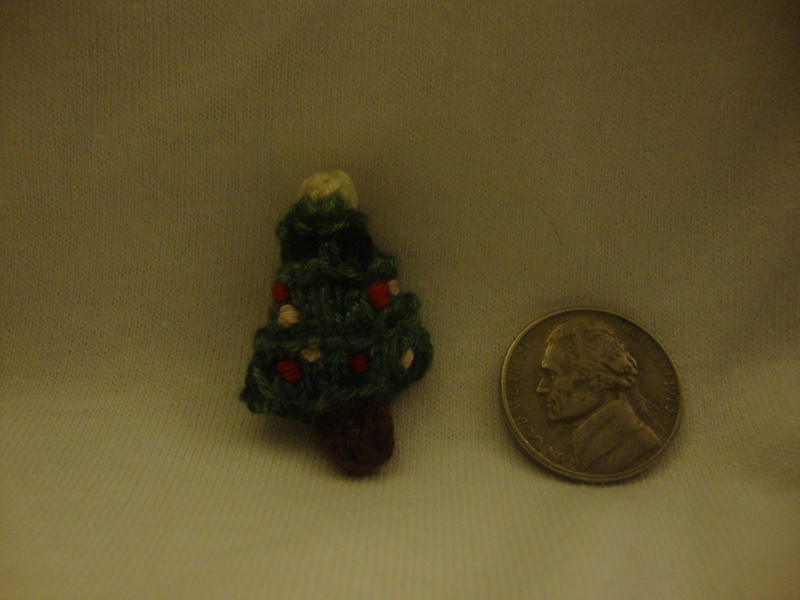 As you can see, the Tiny Tree is about twice the height of a nickel. He could be tinier, but then he’d be a sapling. 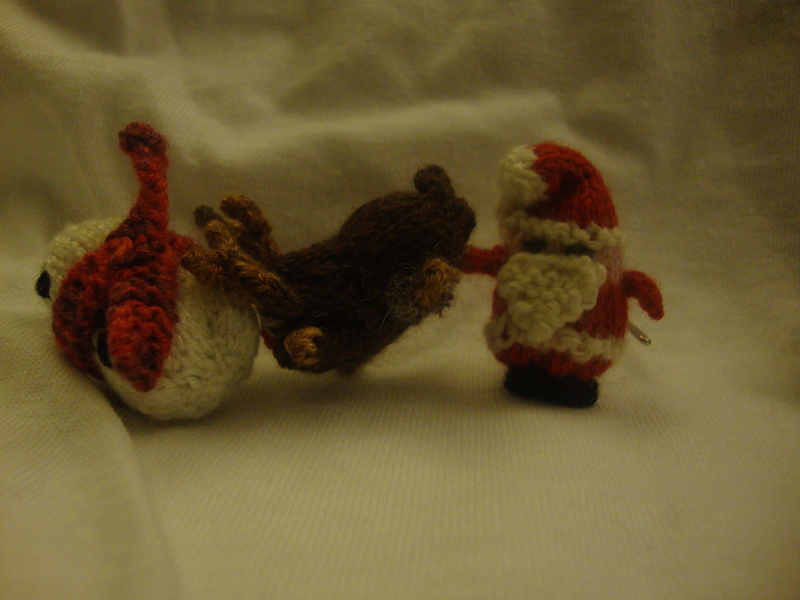 There’s one more chapter in my holiday throwdown saga. 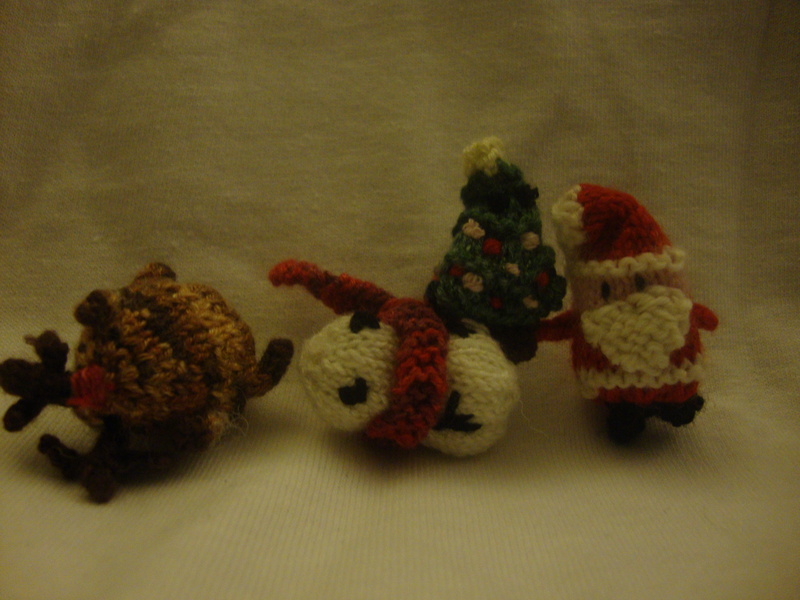 Hopefully, it will be knit before Christmas. Huh. That doesn’t give me a whole lot of time. Maybe I should stop typing. This entry was posted in deadlines, FO, Holidays. Bookmark the permalink.